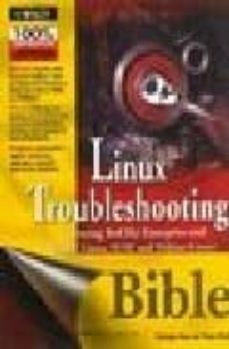 Linux Troubleshooting Bible teaches readers how to support and troubleshoot Linux on anything from desktop to small office to enterprise systems. While focusing on Red Hat Systems (Fedora, Red Hat Linux 9, and Red Hat Enterprise Linux) as reference distributions, the book also contains sections covering challenges readers face to expand that expertise to SuSE and Debian Linux. The primary audience is systems administrators and advanced users who run a server out of their basement or someone running a small office using Linux servers and workstations. Many former Red Hat Linux users either won't or can't transition to Enterprise for cost or licensing reasons. Instead, they'll choose to go it alone with Fedora or choose a different distribution such as Debian and SuSE. The secondary audience includes businesses or schools that have multiple Red Hat machines installed but don't need them all to be Enterprise quality. A third market is any organization that is evaluating transitions to Linux from Microsoft operating systems or proprietary UNIX systems. Fedora is a logical operating system to try first for an organization that wants to train its own support staff and learn technology that both stands on its own and could be used as a stepping stone to Red Hat Enterprise Linux.